Veranda Composite Decking provides the natural look of wood with low maintenance. Backed by a 25-year limited structural warranty, Veranda offers a more natural-looking surface and is available in three colours: Grey, Walnut and Redwood. Veranda's Composite Decking is available in grooved edge (12', 16' and 20' lengths) and solid boards (12' length). By using Trex Rain Escape deck drainage system you can greatly enhance your outdoor living experience by keeping the area under any elevated deck dry and free of rain water and snow melt. After installing the Trex Rain Escape deck drainage system you can include can lights, ceiling fans and speakers for an entertainment system. Then add a soffit and ceiling of your choice. 12 Ft. - HP Composite Capped Grooved Decking - Walnut Veranda Composite Decking provides the natural look of wood with low maintenance. Backed by a 25-year limited structural warranty, Veranda offers a more natural-looking surface and is available in three colours: Grey, Walnut and Redwood. 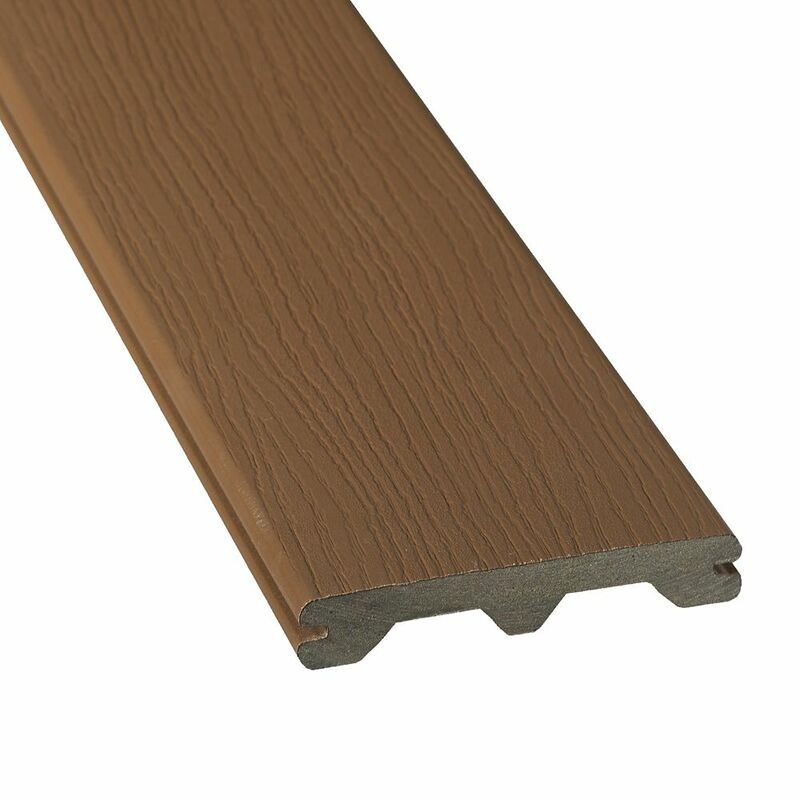 Veranda's Composite Decking is available in grooved edge (12', 16' and 20' lengths) and solid boards (12' length).